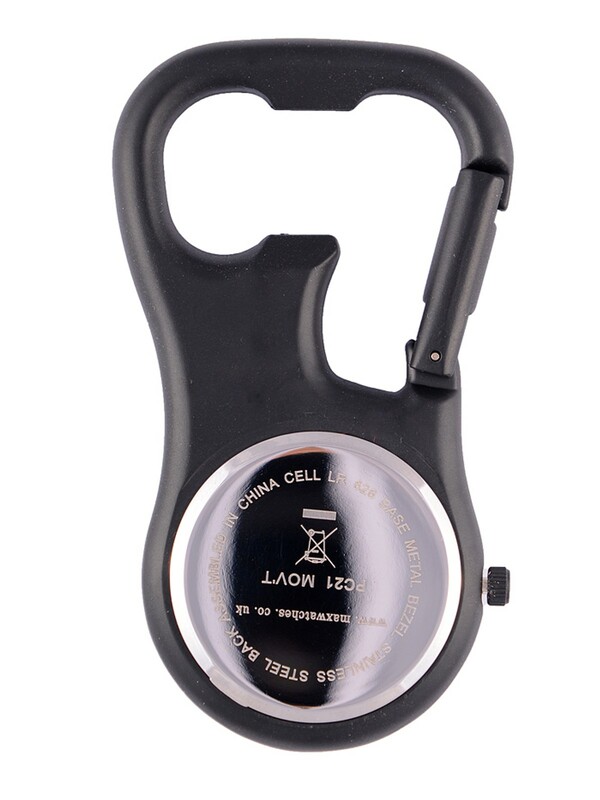 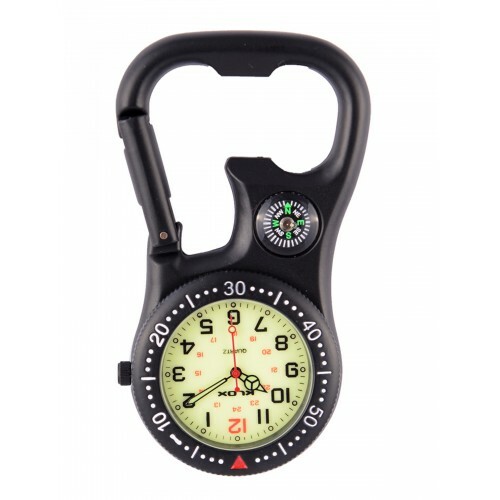 Carabiner Clip Watch with compass and bottle opener. 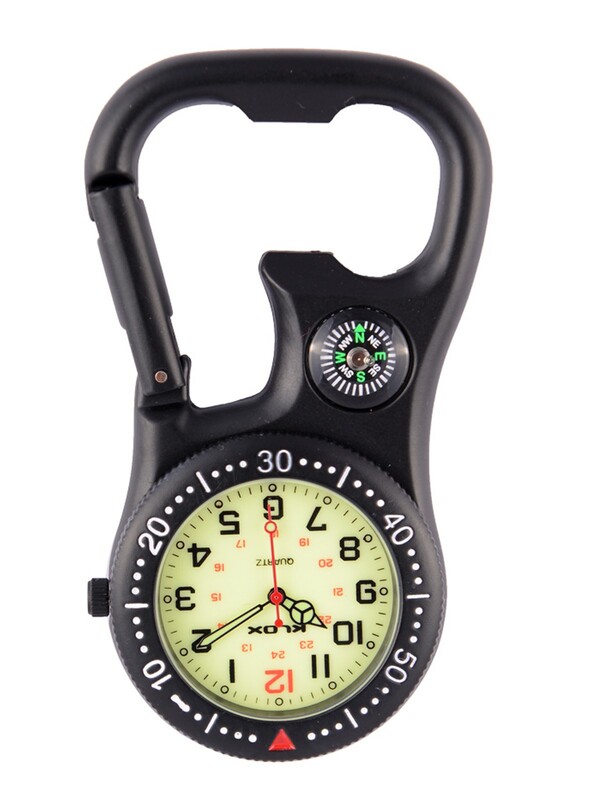 and a minute ring. 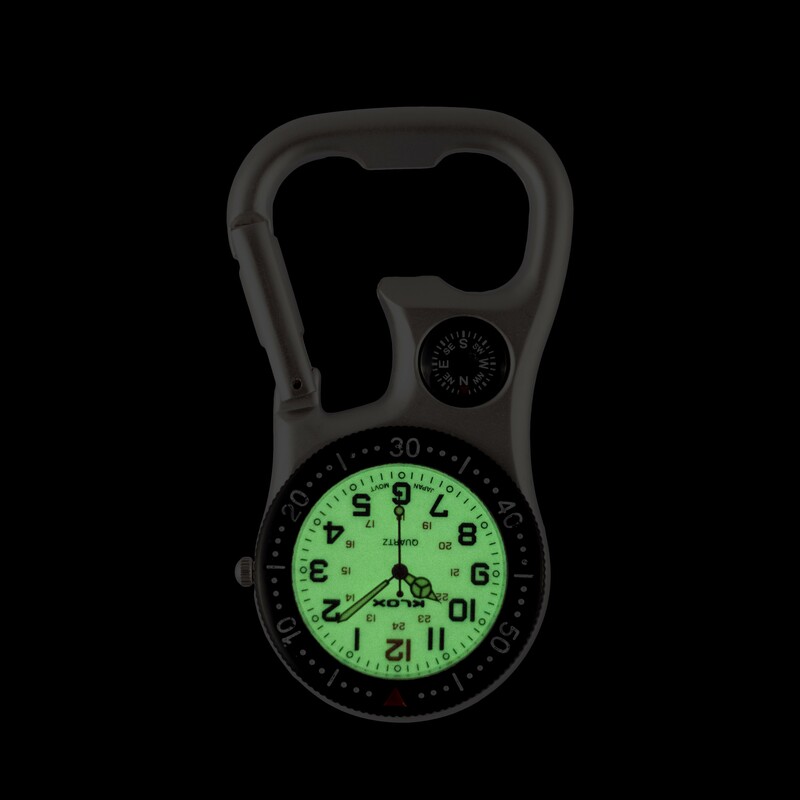 A watch that suits ambulance staff.